by Rachel Kramer Green, Ph.D. 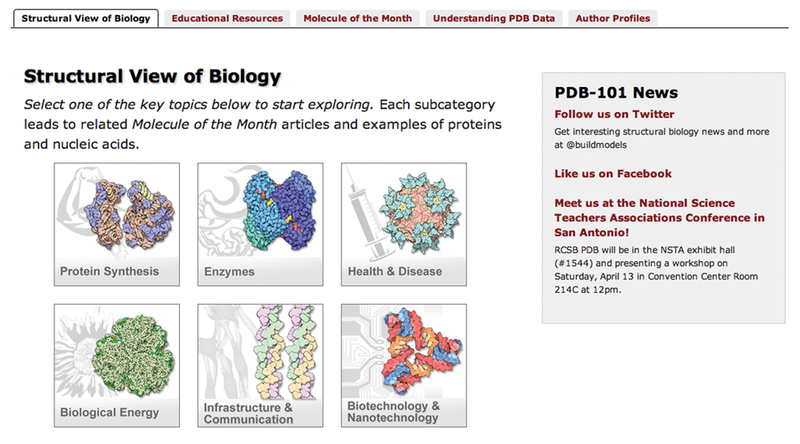 The Ins and Outs of the RCSB PDB Help Desk: What do we learn from our users? What do they learn from us? The Simple Search available from the top menu bar has a cleaner and simpler look and feel. The search form offers the same search suggestion capabilities. A new Browse Database option can be used to find structures using the Anatomical Therapeutic Chemical (ATC) Classification System for drugs from the WHO Collaborating Centre for Drug Statistics Methodology. Information about protein stoichiometry and symmetry have been integrated into drill down charts and Advanced Search. Symmetry features can be highlighted in Jmol. 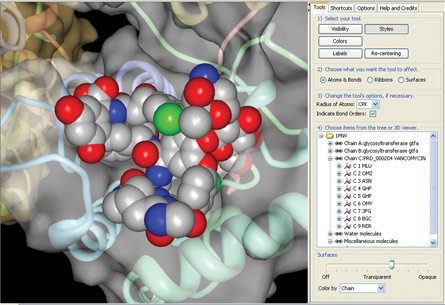 Options to search, view annotations, and visualize about the peptide-like antibiotic and inhibitor molecules described in the wwPDB's Biologically Interesting molecule Reference Dictionary. See the What's New page for more new features and examples. ﻿Protein Workshop view of vancomycin PRD_000204 as seen in PDB ID 1pnv. 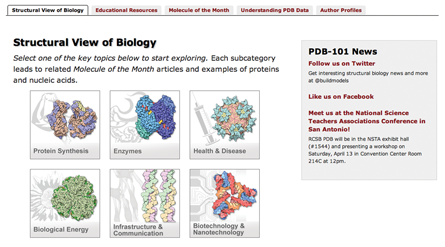 ﻿PDB-101 has new tabs for easier access to Educational Materials, Molecule of the Month, Understanding PDB Data, and Author Profiles. 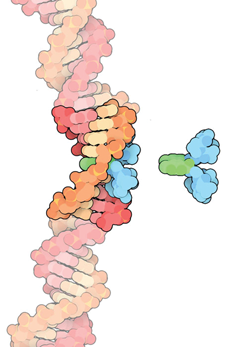 PDB-101 News has been added.